America is the home of automotive culture. It is the country that made the car industry, created hot rods, drive-ins and endless stretches of highways that connect every state. But it is also a place with the most car factories that make millions of vehicles each year. It is easy to say gasoline moves the economy and cars play an extremely important role in the lives of American families. Since cars are so important there, you might think that global manufacturers are eager to sell their products in the U.S. You probably also think American car consumers have access to most of the models and brands produced in the world. However, U.S. buyers are limited to domestic and some import brands. While that looks like a wide selection of cars to choose, it is still less than what Europeans have in their dealerships. Popular import brands like Toyota, Mercedes, BMW and Volkswagen don`t sell their full model lineup in the U.S. In fact, it looks like American automobile customers are sometimes left without the most interesting models or versions. If you think that importing the cars yourself is the solution, you could hit an unbreakable bureaucratic wall, which will kill your hopes to own and legally register an interesting car from overseas. In fact, it is illegal to have cars that are not homologated for the U.S. market. In case you want to import a vehicle that does not comply with the local laws or safety and environmental regulations, you could be criminally charged. The only way to import interesting cars from abroad is to wait until they are at least 25 years old. Then you can import them as classics, but you’ll still have to pay hefty import duties. Here is an interesting list of what U.S. consumers have been missing. Most of these cars are from brands you probably know, but you may never see any of these models on U.S. soil. Even though older versions of this truck were sold in the U.S., the Hilux has been absent from America for decades now. It is a shame since this compact truck is one of the widely recognized “tough as nails” vehicles in the world. It can pull, carry and go through the wilderness with ease. Toyota sells thousands of those tough 4×4 trucks around the world, practically on every continent, except for North America. So, what is the reason for that? 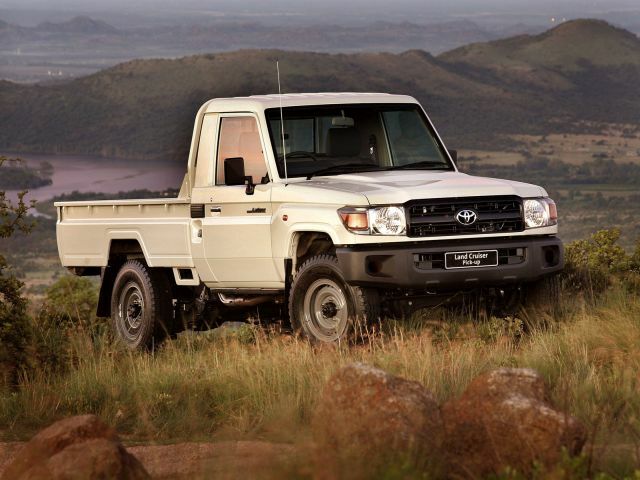 Most Hilux models sold globally are diesel-powered. The customers in America are not used to compact trucks with that kind of engine. There is also the question of emissions standards. Although the compact truck market was dead for a number of years, it has recently started to re-emerge with models like the Chevrolet Colorado. Since the Toyota`s truck division is strong on the domestic market, you could expect a Hilux to arrive on U.S. shores in the future, but Toyota has not announced it yet. Until then, you can only envy the rest of the world for those affordable, yet extremely durable compact trucks you can’t have.